Corundum is a mineral species that includes two world’s most precious gemstones, ruby and sapphire. Since they are the same mineral, sapphire and ruby are often found together. Sapphire is far more common variety, as ruby requires a specific element and an appropriate host rock to supply its essential chromium. The chemical formula of corundum is Al2O3 (aluminum oxide) and pure corundum is colorless. All gem colors being caused by small amounts of chemical impurities. For instance chromium gives the rich read of ruby. Sapphire is the term used for all other colored gem corundum (blue, black, white, violet). 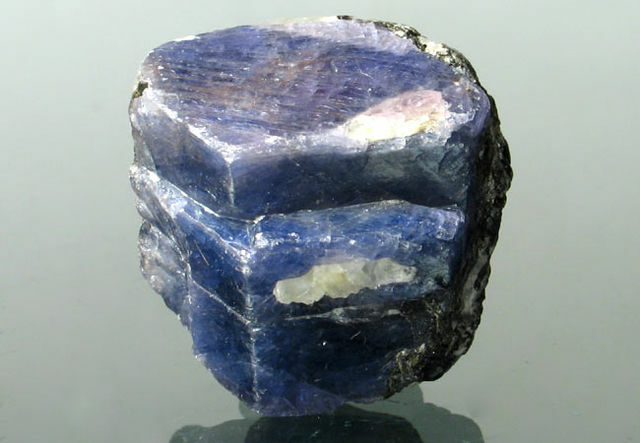 However sapphire is most closely associated with the blue color due to presence of iron and titanium. Some rare colors sometimes designated with special names, such as padparadscha for orange-pink and barklyite for violet colered sapphire. pyramidal. Optically, corundum has a high refraction index (1.76-1.78). This strong refraction favors use of the brilliant cut which is commonly used for diamonds. However, there is no strong dispersion of the spectrum which causes the color flash seen in diamonds. enough to allow transparency but observable under a jeweler’s loupe or a microscope. These natural inclusions found in corundum gemstone family help to distinguish them from synthetic gemstone. Vast majority of corundum gemstones are enhanced in some ways. Since 1960s, heat treatment has been a common practice. Heat treatment intensifies the corundum color, improves the uniformity and enhances the clarity by melting some of the silk inclusion that commonly occurs. Fracture filling is another common practice for enhancing the corundum gemstones. This method reduces the visibility of flaws by making the fractures non-reflective. Diffusion is another less common treatment method as this just changes the surface color of the gemstone. The procedure involves introducing the coloring agents of ruby and sapphire into upper surface of a colorless stone and heating it over prolonged period of time. This treatment is considered permanent, however the surface color can be removed if the stone was badly chipped and needed repolishing. It is worth noting that diffusion treatment can introduce asterism into sapphire and ruby. Ruby name is derived from Latin Rubeus due to its beautiful red color. Due to having the same color, before 1800, red spinel, red garnet and ruby were all thought to be one gemstone (ruby). The intense beautiful color of the ruby is due to presence of chrome, and additional iron produces the brown hues. The most valuable color for the ruby is an intense crimson color commonly called pigeon blood red. Clarity of the ruby is also important, bur almost all the natural rubies have some types of inclusions. Ruby is the second hardest mineral after diamond. However the hardness varies in different directions. Ruby has no cleavage, but has certain preferred directions of parting. Because of its brittleness, care must be taken when cutting and setting. The name sapphire derived from a Greek word meaning blue. It was around 1800 that ruby and sapphire were recognized to belong to the same family of corundum. 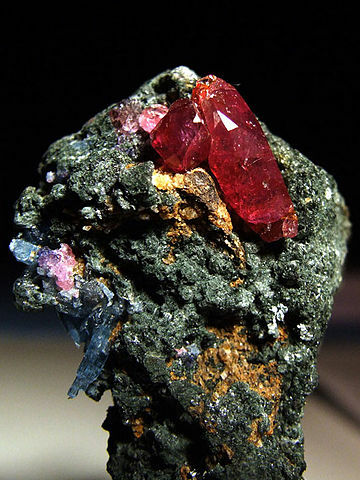 Technically all colors of corundum other than red are sapphire. However the first color that sapphire suggests to most people is blue. Different shades of blue in sapphire are due to presence of different trace combinations of Titanium. Due to having the same color (blue), in antiquity and as late as the Middle Ages, the name sapphire was understood to mean what is today described as lapis lazuli. One of the extremely valuable sapphires is called color-change sapphire, which shows Alexandrite effect. This variety shows blue to violet color in daylight but changes to purplish blue or purplish red when lit by incandescent light.